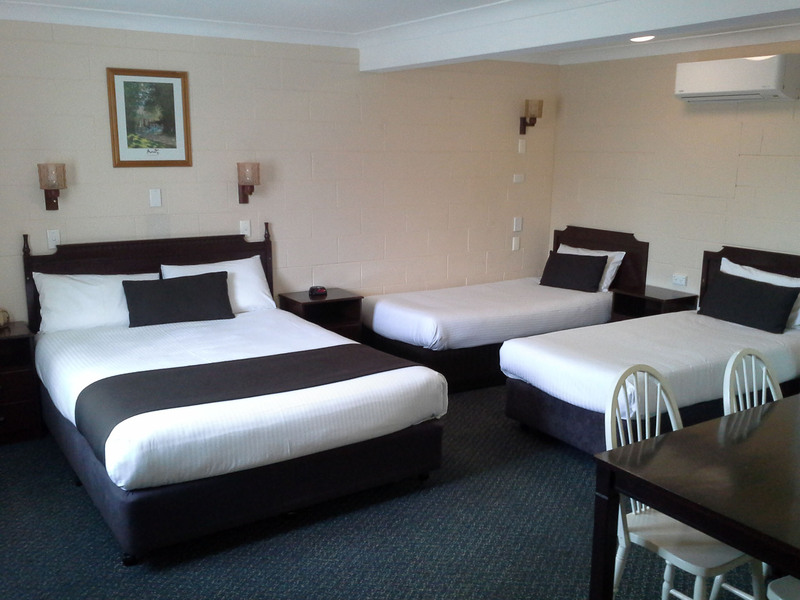 Our 4 Family Rooms feature a comfortable Queen Bed and 2 Single beds with crisp white linen and duvets with electric blankets. 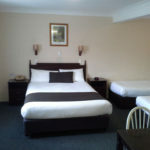 Two of these rooms are ground floor and the other two are first floors with great views over the surrounding district. 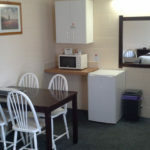 Each room has its own en-suite and dining table. 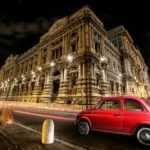 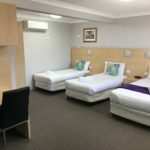 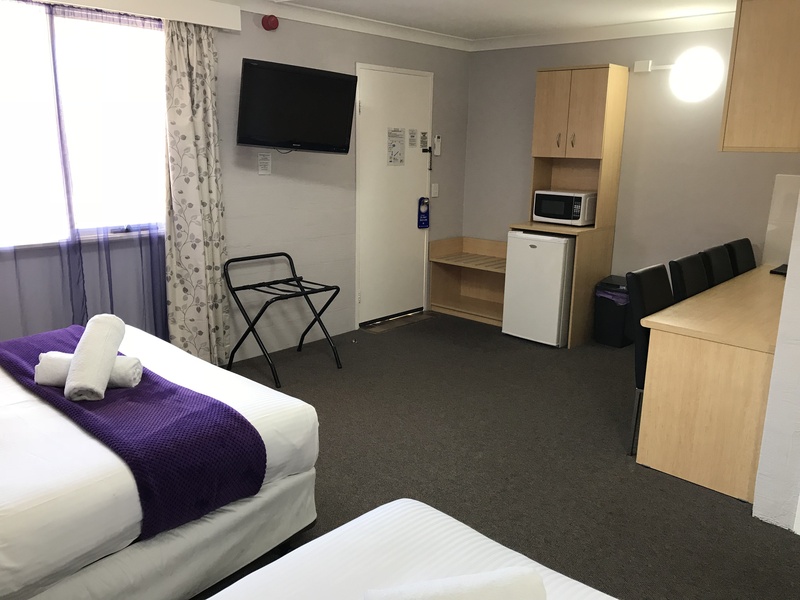 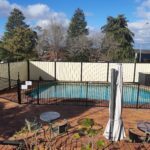 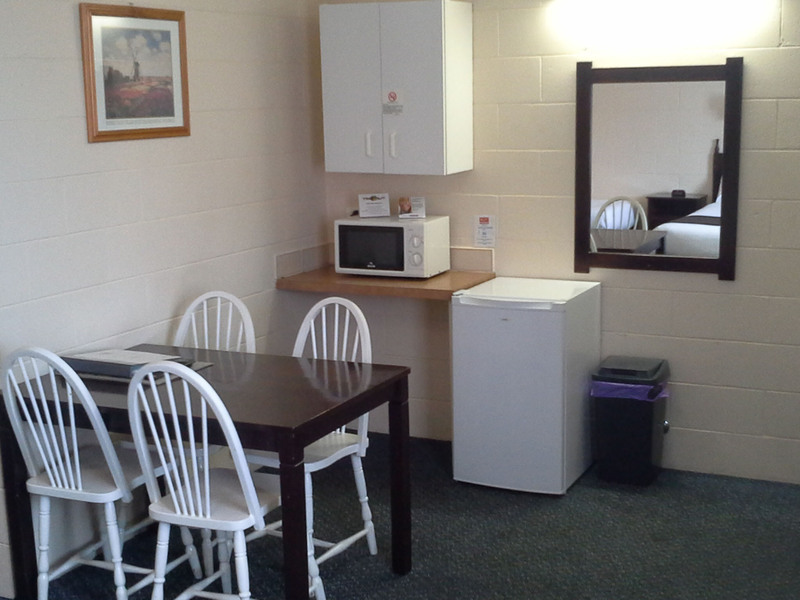 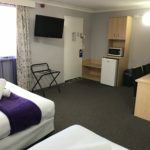 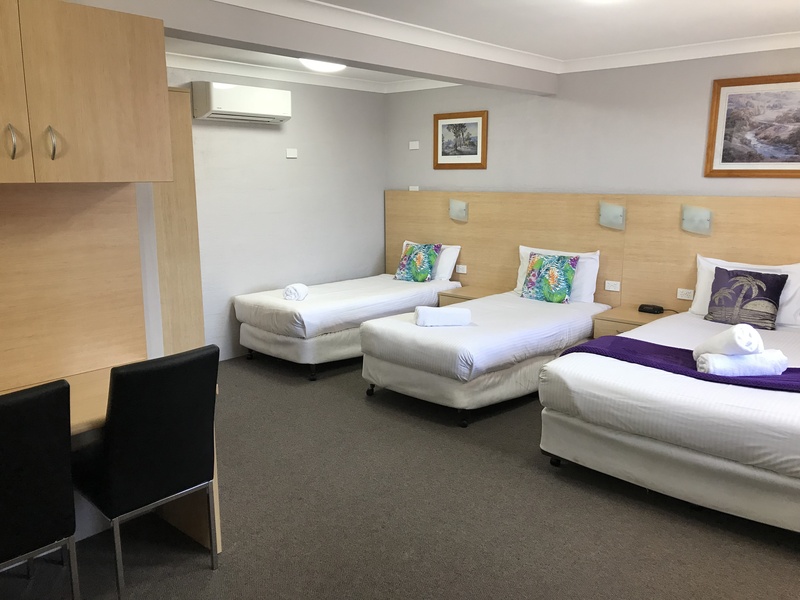 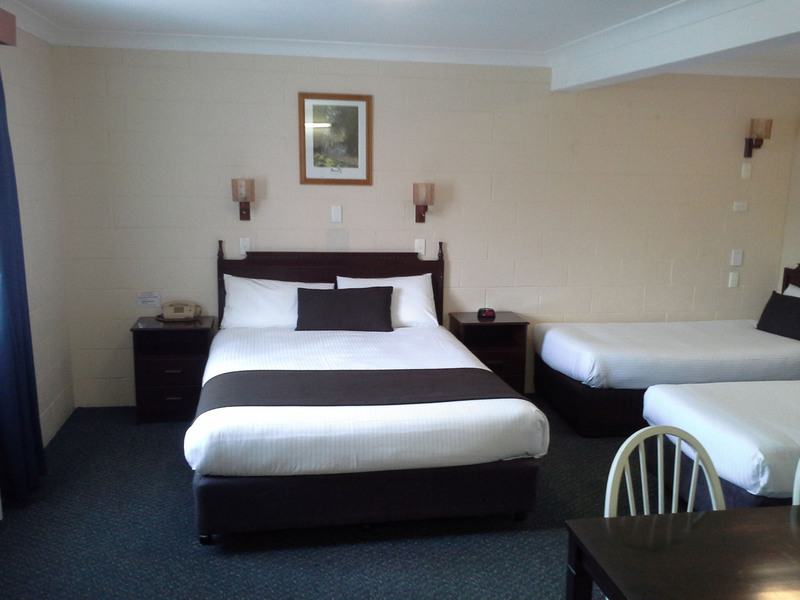 Facilities include microwave, toaster, kettle, crockery and cutlery, coffee and tea, bar fridge, digital TV, Foxtel and free WIFI and air conditioning. 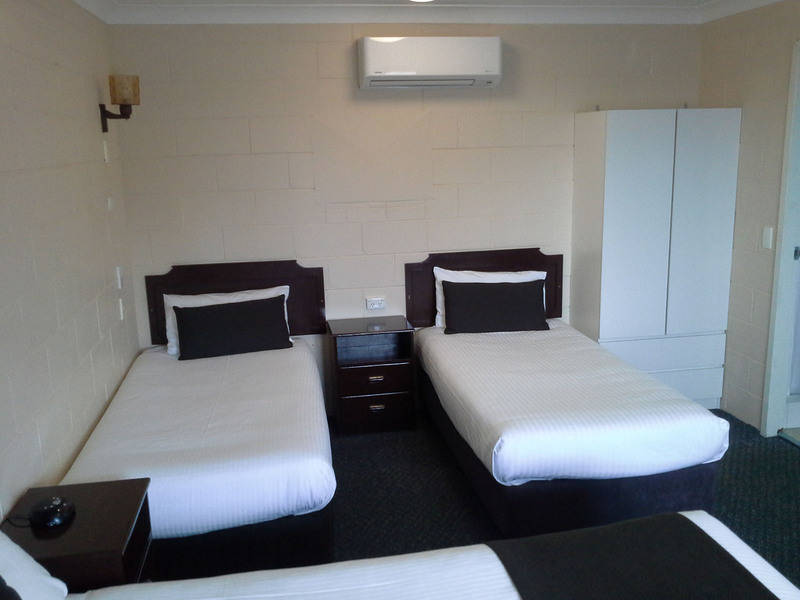 These rooms sleep a maximum of 4 people.